Steering stem torque with aftermarket bearings? Is there a different spec to torque to when using All ***** taper bearings? "b) Place the upper bearing and seal onto the stem. Thread the spanner nut back onto the stem. Torque spanner nut to factory recommended levels. 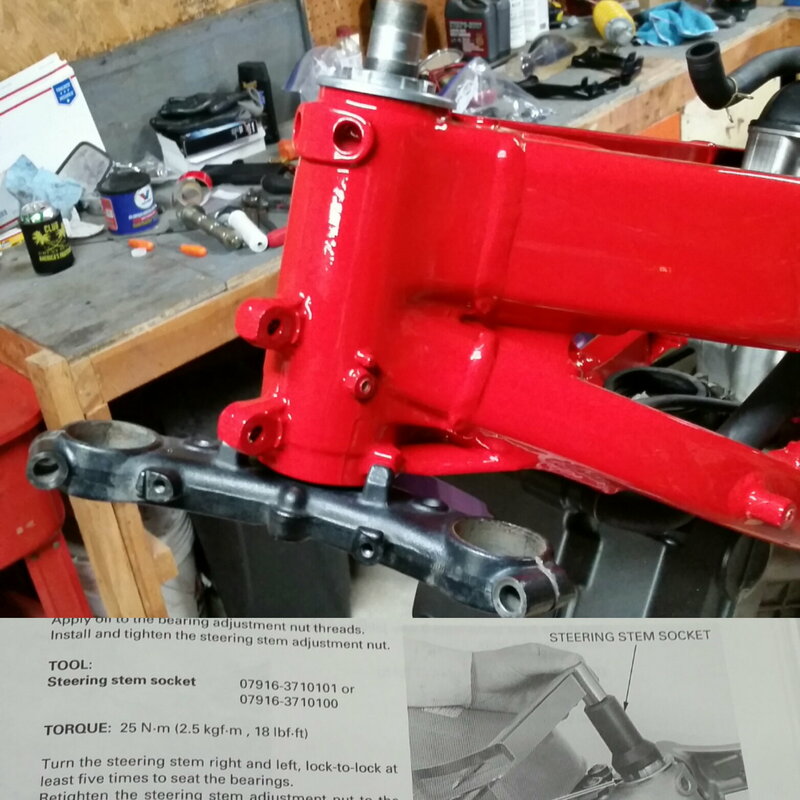 c) Place the top triple clamp and washer back into place thread the top nut back on and torque to factory recommended levels." But I think that is more for liability reasons then anything. Too much preload and you have binding. Last edited by E.Marquez; 01-15-2019 at 11:02 AM. My way (though maybe old fashion) I trust the most, front in the air just a bit, while the bike on the side stand, using just gravity, if the the forks fall from right to left quickly, it's too loose! If the forks don't move by gravity, it's too tight. The forks needs to travel slower then falling, but smoothly from side to side, that's how you know the bearing actually rolling correctly. Again, it's a crude and simple method, but works perfect for almost any bike. Once you ride with the new bearing for few hundred miles, I would check them again, as they may have been settled a bit and got looser. Last edited by NHSH; 01-22-2019 at 08:06 PM. I went through the same line of questioning last month, the answer lies in the manual and it requires a fishing scale. Use the pull test on each bar to achieve the proper drag. Go slightly heavy as the bearing will seat in after a while. Much less torque is required for the tapered rollers without a doubt. Quick Reply: Steering stem torque with aftermarket bearings?